In March 2019, Business Trainee, Natasha Nicholson, stood up in front of her managers and colleagues at the Department of Health and Human Services Victoria (DHHS) and conducted a presentation about how to use Outlook. Just three months earlier, Natasha was unemployed, battling social anxiety and lacking confidence. While she is still managing her anxiety, Natasha says through participating in the Citi New Recruits program, she was able to land a Business Traineeship, which helped her to become much more confident. 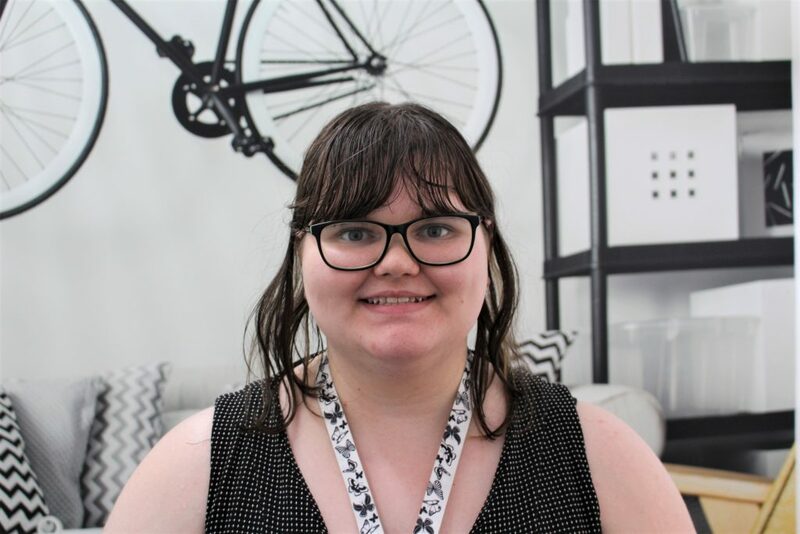 After graduating from the program, Natasha did one week of work experience at DHHS. She remembers being slightly nervous, but says she felt confident to meet new people and was ready to learn new things. After the work experience, Natasha wanted to work at DHHS, because the team were so friendly, the work seemed interesting and she felt like she could make a difference. She remembers receiving the call to say they wanted her to join the team as a Business Trainee. “I was emotional, I nearly cried… I was just so happy because it was my first job ever,” Natasha says. Natasha says her traineeship has been “really interesting” so far, and she has learnt a lot of new knowledge. The other advantage for Natasha is how her traineeship has an IT focus. She’s grown up with her father working on computers, so she always been fascinated by technology and finds it easy to understand.